When connecting to a cloud storage provider, cyberduck is able to create vaults and edit, upload, view files. HOWEVER, once I upload a folder with files inside the vault, I check it again, the folder is there but the files inside are gone. Going to google drive's site though, the files are there and are uploaded. i would need to download my vault in order to decrypt it and read it, which i cant because of space restrictions. Capture2.PNG​ (34.9 KB) - added by 2160p on May 2, 2018 at 9:33:57 AM. both cyberduck and mountain duck facing same issue. I can reproduce the problem which does only seem to affect Cryptomator vaults in Google Drive. I am also having this issue, both with cyberduck and mountainduck the folders within a vault are shown as empty when they are not. I can also confirm this bug happens on Mac computers too. I have High Sierra installed. This issue is persisting in Version 6.8.3 (29107) for Mac OS. 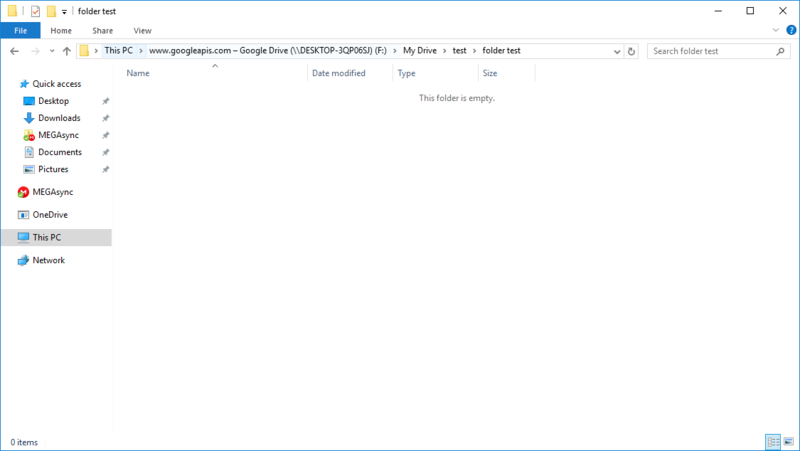 initial uploads to a vault on google drive go smoothly, but subsequent uploads get the "file not found" error.